There's a new TV standard in town: Ultra HD Premium. Like Ultra HD (4K), but... better. If you're still trying to wrap your head around what 4K is in the first place then an extra format on top might be too much to take in, but we're here to explain everything simply. You can't explain Ultra HD Premium without explaining Ultra HD (also known as 4K), because the two specifications have a lot in common, so we'll start there. If you need more background on Ultra HD, 4K and Ultra HD Blu-ray then load up our comprehensive guide. In time the Ultra HD Premium logo should become ubiquitous - most of the industry is behind it - but for the foreseeable future you'll come across hardware and services with and without the UHD Premium seal of approval, and here's what you need to know. While the 4K label is used in professional broadcasting to refer to a slightly different format, in consumer tech land when we talk about both 4K and Ultra HD (UHD) we mean video with a typical frame size of 3840 x 2160 pixels (four times that of 1080p Full HD). Pushing all of those pixels obviously takes a lot of bandwidth, whether the stream is coming through your router or through your satellite dish, but the technology is slowly appearing to make 4K possible: some Netflix shows are now available in 4K, for instance. When you see the UHD/4K label on a YouTube video or on a TV in a store, that's what it's referring to. There are some extra bells and whistles available on top of that, including HDR (High Dynamic Range), which balances out the contrast and colours in a picture. Which brings us on to Ultra HD Premium. The resolution doesn't change - still 3840 x 2160, or 8 million pixels - but the "Premium" refers to a certain agreed standard of audio and video quality. It's like another official stamp of approval on top of the viewing experience. This agreed standard has been put together by the major players in the industry under the umbrella of the UHD Alliance - its list of current members includes a lot of hardware makers, movie studios, internet companies and software developers you'll have heard of. The Ultra HD Premium standard was unveiled at CES 2016 in January, covering everything from content development to streaming specifications. and if manufacturers come up to scratch then they get to slap a shiny Ultra HD Premium logo on their products. When it comes down to the nitty gritty of what Ultra HD Premium actually means, it varies depending on whether you're talking about a TV or a streaming service - it covers resolution, high dynamic range (HDR), peak luminance, black levels and wide color gamut. In the case of a television, for example, it needs to have both that 3840 x 2160 resolution and 10-bit colour depth, and other standards relating to colour palette, colour spectrum and colour representation too, though they won't mean all that much to the average user. Of course that's not to say the average user won't be able to tell the difference between UHD and UHD Premium: contrast should be better, colours should be richer, and there are recommendations about how immersive surround sound audio needs to be as well. 4. Should you be buying Ultra HD Premium kit? As with any emerging next-gen standard, there's no clear answer on this one - you'll definitely get a better TV picture if it's Ultra HD Premium, but if you want to save some money then sticking with a plain old UHD set isn't going to be a complete disaster. 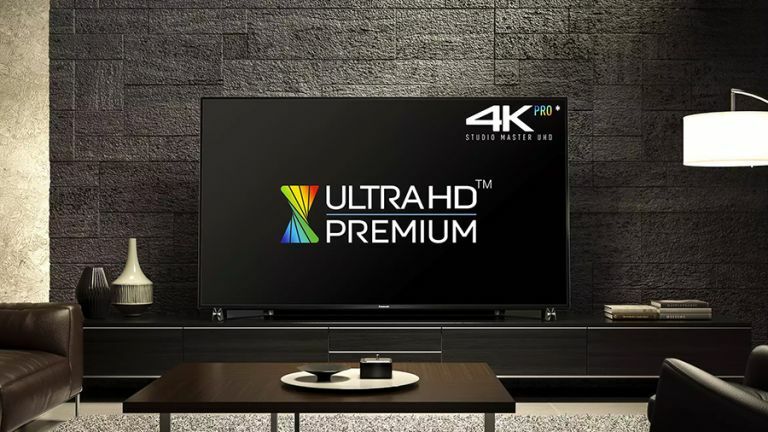 Essentially, you should think of Ultra HD Premium as a seal of approval that tells you that the manufacturer (or content creator or distributor) involved hasn't cut corners in terms of the 4K video you're watching, and is adhering to the high standards of the UHD Alliance. Bear in mind though that some devices will be as good as Ultra HD Premium ones without quite meeting the exact spec required - and Sony has muddied the waters by going with its own alternative "4K HDR" label rather than following the rules set by the UHD Alliance.